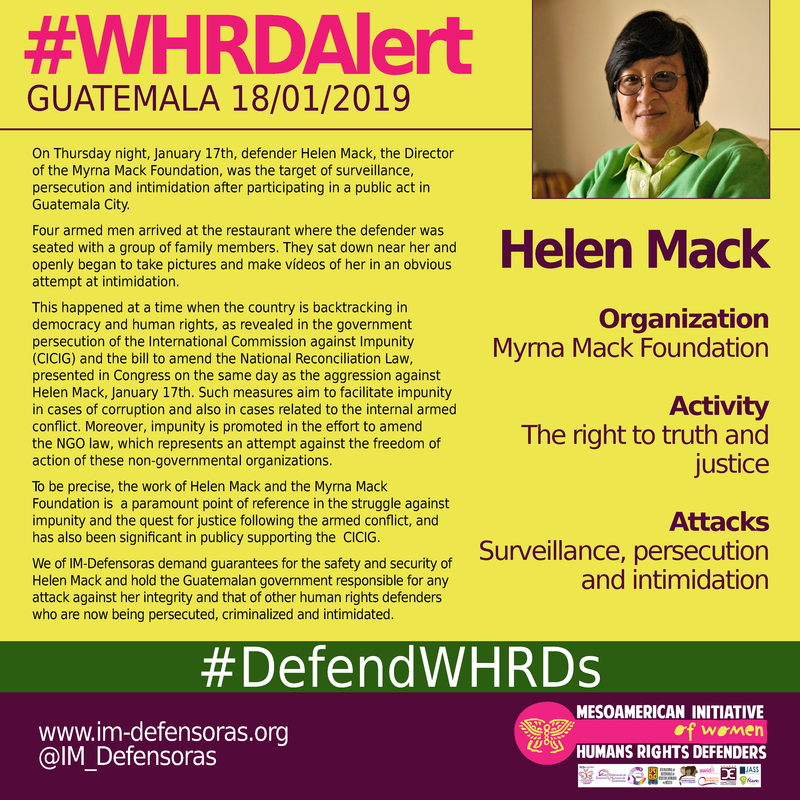 THE FACTS – On Thursday night, January 17th, defender Helen Mack, the Director of the Myrna Mack Foundation, was the target of surveillance, persecution and intimidation after participating in a public act in Guatemala City. Four armed men arrived at the restaurant where the defender was seated with a group of family members. They sat down near her and openly began to take pictures and make vídeos of her in an obvious attempt at intimidation. This happened at a time when the country is backtracking in democracy and human rights, as revealed in the government persecution of the International Commission against Impunity (CICIG) and the bill to amend the National Reconciliation Law, presented in Congress on the same day as the aggression against Helen Mack, January 17th. Such measures aim to facilitate impunity in cases of corruption and also in cases related to the internal armed conflict. Moreover, impunity is promoted in the effort to amend the NGO law, which represents an attempt against the freedom of action of these non-governmental organizations. 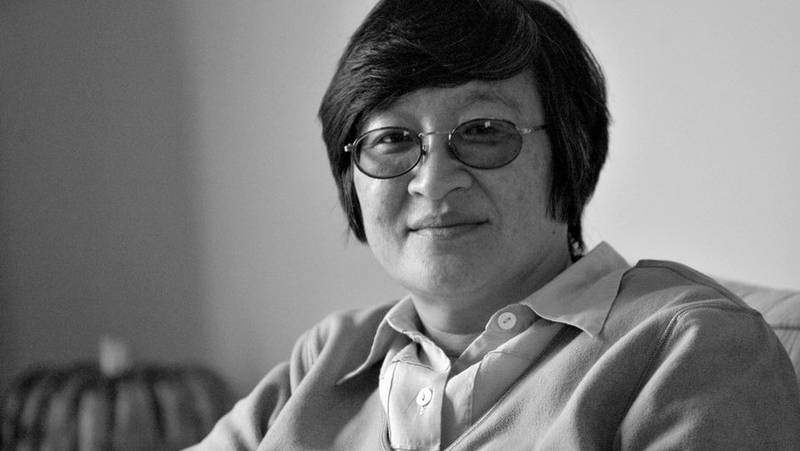 To be precise, the work of Helen Mack and the Myrna Mack Foundation is a paramount point of reference in the struggle against impunity and the quest for justice following the armed conflict, and has also been significant in publicy supporting the CICIG. We of IM-Defensoras demand guarantees for the safety and security of Helen Mack and hold the Guatemalan government responsible for any attack against her integrity and that of other human rights defenders who are now being persecuted, criminalized and intimidated.